This sampler would be a beautiful picture to have all year round. 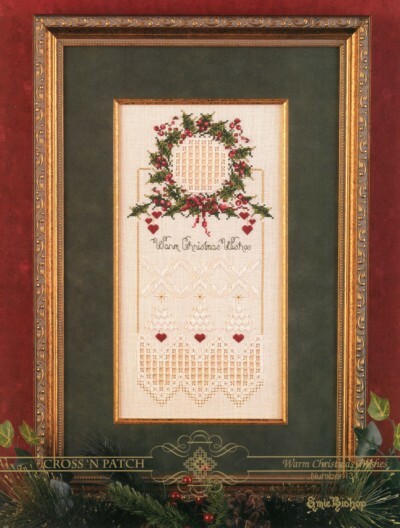 It is a mixture of Hardanger and Cross Stitch, with the beautiful reds and greens of Christmas. This pattern has very precise instructions with each stitch pictured individually.